To the dismay of many municipal bond market players, President Barack Obama on Monday unveiled a budget for fiscal 2013 that includes a measure that would impact the attractiveness of investing in municipal bonds. 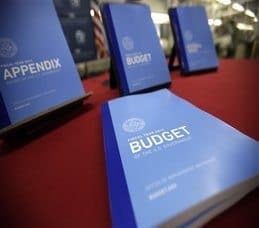 The president wants to decrease the deductible amount of income wealthy taxpayers receive from interest payments when they buy tax-exempt debt.The president’s $3.7 trillion spending plan includes a measure that calls for a 28% cap to be placed on the amount of interest certain bond investors can deduct from their taxable incomes. Specifically, the measure would apply to so-called top earners, which are individuals who make $200,000 or more a year, and married couples filing jointly who make $250,000 or more a year.Considering this is an election year there is significant doubt that the president and members of Congress will put their political differences aside and pass any major laws, including the budget. Nonetheless, the mere fact that the idea is being bandied about is giving many pause. She falls in the category of taxpayers who make more than $200,000 a year, and she says she feels she’s anything but wealthy. “It doesn’t seem fair,” the 52-year old woman said. The Obama administration may beg to differ. When the proposal to limit certain taxpayers’ itemized deductions was announced yesterday, administration officials said that paying down the country’s $1.5 trillion deficit had to be a “shared sacrifice.” That means limiting the tax breaks that wealthier taxpayers are privy to in order to spare middle-income taxpayers the burden of carrying most of the weight. Jeff Born, a finance professor and co-director of the MBA Program at Northeastern University in Boston, noted that considering President Obama is a Democrat, it is not surprising that he is calling for most of his new tax revenues to come from those who are wealthy and/or who have big incomes. The logic, however, is not sufficient to tamper with the tax-exempt bond market, says William Hammer, a certified financial planner based in Long Island, N.Y.
Another way Obama’s proposed tax law change could affect the municipal bond market relates to the issuers of the debt. The change would significantly raise borrowing costs for local governments at a time when many of them are running huge deficits, Hammer pointed out.